At Custom Built Cabinet Makers we want you to make the most out of your outdoor area. 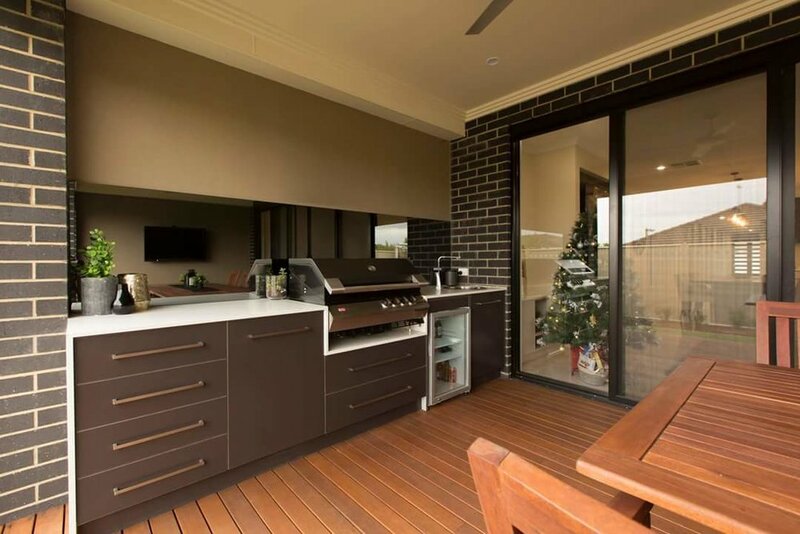 Deciding to add an outdoor kitchen is a lifestyle choice that will not only add value to your home but allow you to make the most of our gorgeous Australian weather all year round. We can transform any outdoor area to suit your individual lifestyle and needs. From the basic 3 cabinet kitchen with the traditional hooded BBQ all the way up to the most stylish of joinery with the addition of perhaps a wood oven, bar fridge, sink or even a Teppanyaki plate. There are absolutely no limitations to what we can do, the possibilities are endless and we can take care of it all from the design process all the way to sourcing appliances and then installation. We only use the latest in new, high performance wood based exterior panel products that have the durability backed by a warranty. You can choose to have your Kitchen 2 Pack painted in Matte or Gloss to match any paint colour you like, we also offer a specialised finish to your joinery that is unique to our company and we make it here in our workshop, this also comes in a range of colours and has an impressive finish. We recommend Stone benchtops for outdoor areas; and we offer a selection of either composite (man-made) or natural stone products. We recommend Aluminium Splashbacks for Outdoor Areas, although glass splashbacks can also be used.